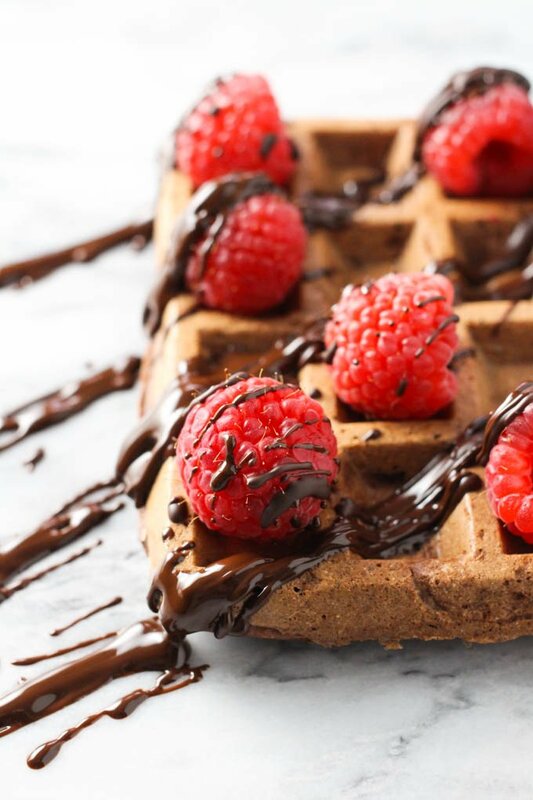 These healthy chocolate waffles are perfect for a special occasion breakfast or brunch. 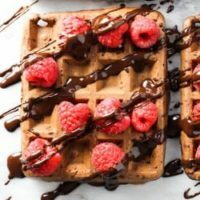 Whether it’s Christmas morning, birthday, Valentine’s day, Mother’s day, bridal shower or brunch with friends, these chocolate waffle recipe will have you covered. 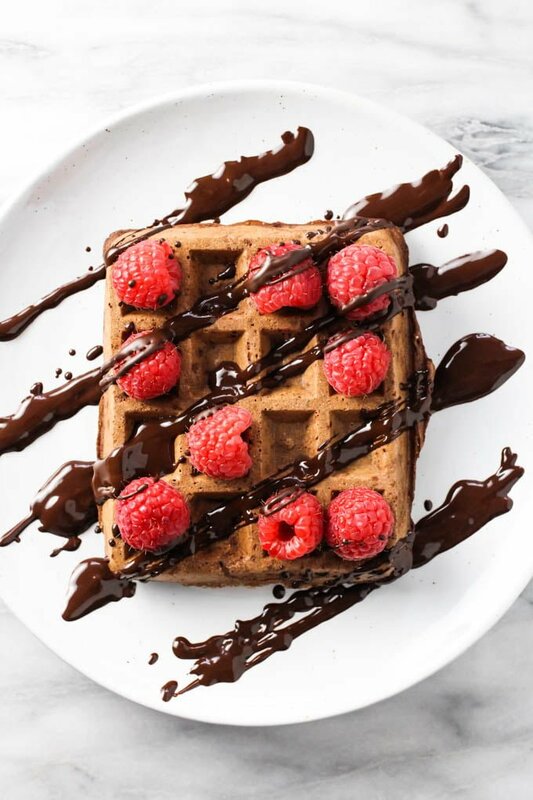 These chocolate waffles are everything you’ve imagined – they have a deep chocolate taste and are gently sweetened with maple syrup. 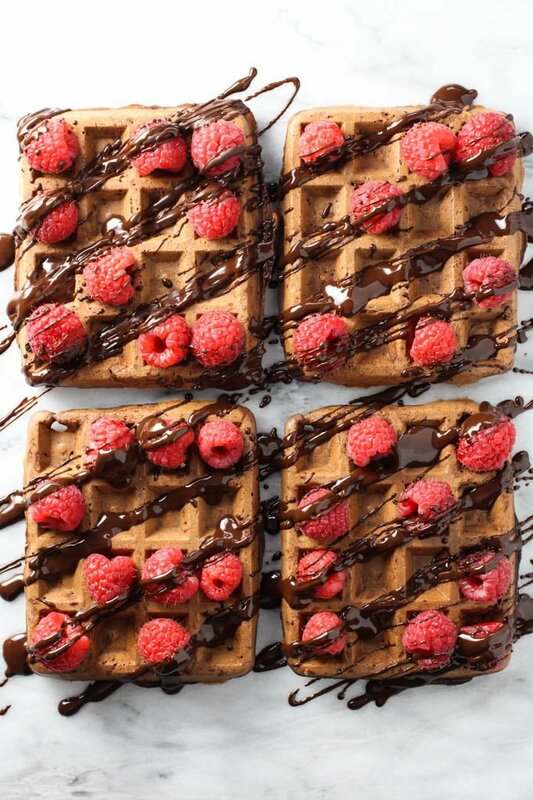 The recipe is very easy to make and you can also make these waffles in advance. 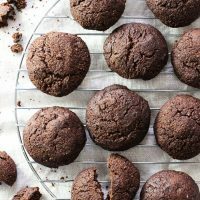 In my opinion, the ingredients in this recipe are quite simple and easy to find in grocery stores or online. 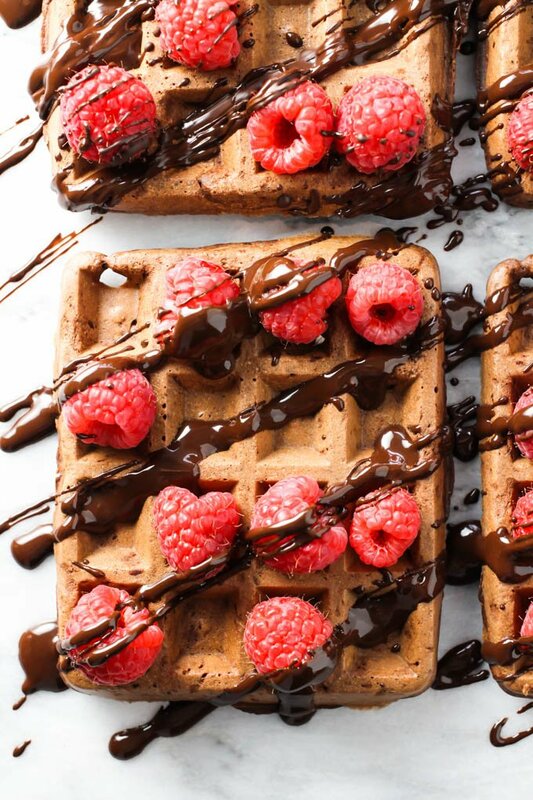 No exotic flour mixes or hard to find sweeteners are required to make these healthy chocolate waffles. 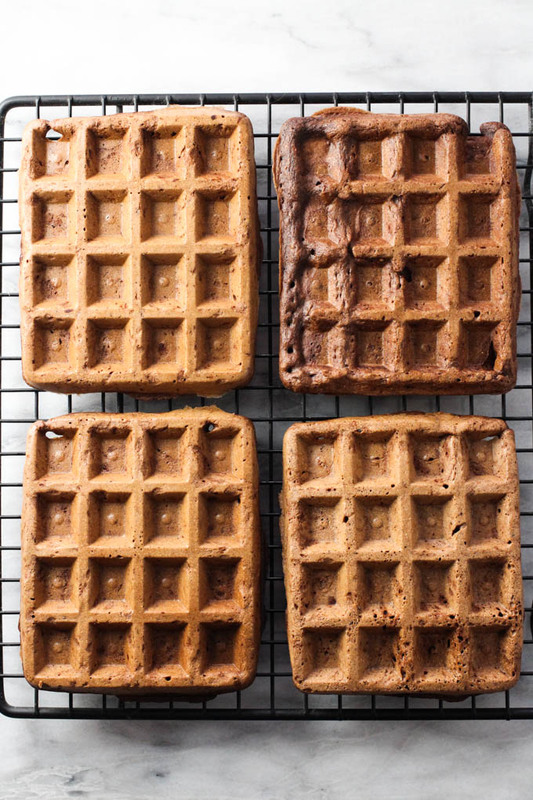 These healthy chocolate waffles are made with whole spelt flour. I prefer to bake with spelt flour instead of whole wheat flour because spelt flour has a milder flavor. It’s also lighter resulting in fluffier waffles. 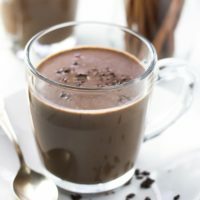 I think this recipe would work with any type of milk. 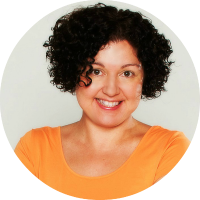 However, I only tested it with regular cow’s milk, almond milk, and coconut milk. I used maple syrup in this recipe. 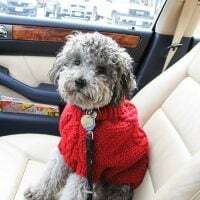 It will also work with coconut sugar, regular white sugar, or even honey (although, honey might add some distinct flavor to the waffles which is not necessarily a bad thing). In general, making any kind of waffles is quite easy. All you have to do is mix the dry ingredients, mix the wet ingredients and then combine them together. And if you have any kind of waffle maker, you will make yourself waffles that, in most cases, will be much better than anything you buy at a grocery store. Sift the flour together with the baking powder. This helps to aerate the flour, break up the clumps and better distribute the baking powder in the batter. Cool the waffles on a cooling rack to allow the air to circulate around the waffles. These waffles taste best when they are super fresh out of the waffle maker. But they can also be kept in the fridge for a few days or you can freeze them. I warm up the waffles out of the fridge in a regular toaster. You can also put them in a warm oven for a few minutes. Warmed up waffles are usually a little bit on the dry side but still delicious. These waffles can also be frozen and kept in the freezer for up to 3 months. If you plan to keep your waffles, make sure to take them out of the waffle make when they are just done. This will prevent them from getting too dry when you reheat them. 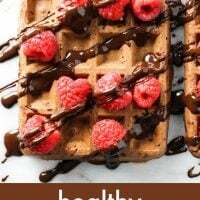 Although I made an effort to make these chocolate waffles a little bit healthier than the average waffle you get at a grocery store, any waffle is just as healthy as the toppings you put on it. You can soak your waffle in a sugary syrup and call it a healthy breakfast but it’s just not going to be the right thing to do. Coconut butter with sliced kiwi. 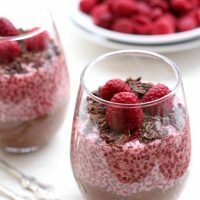 Raspberry sauce sprinkled with chocolate chunks. 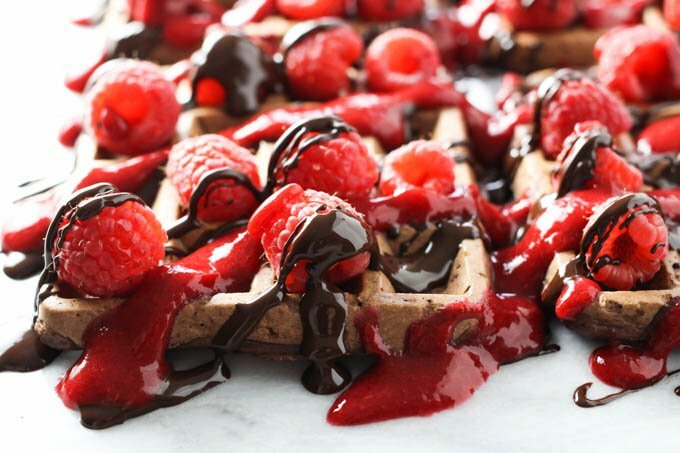 I am a big fan of the chocolate and raspberry flavor combination and couldn’t resist dressing these waffles in all this raspberry-chocolate goodness for the photo shoot. 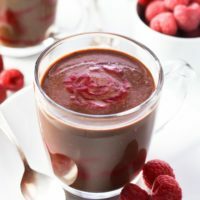 Once you have all the ingredients ready, make the 2-Ingredient Raspberry Sauce (just click the link for the step-by-step instructions). 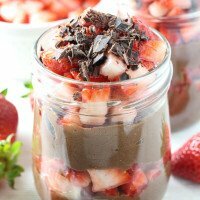 For the chocolate sauce, melt the chocolate together with the coconut oil and mix to combine. Serve warm, otherwise, it will harden. 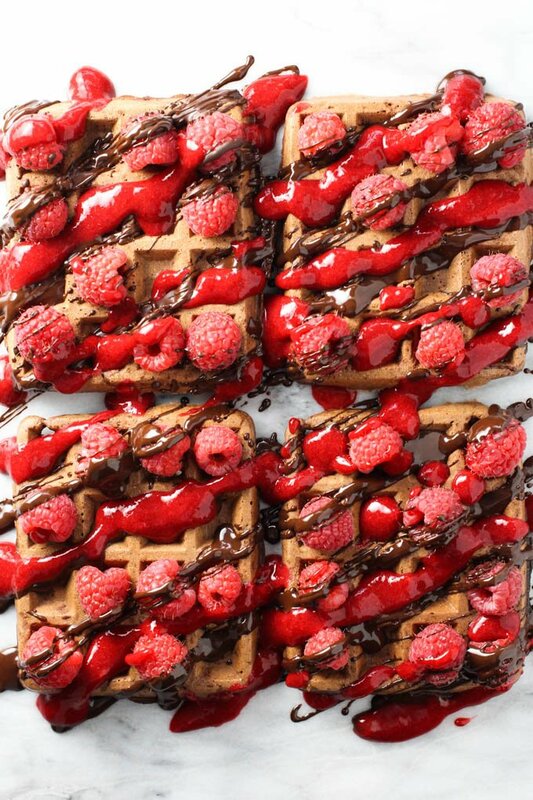 To decorate the waffles, place the fresh raspberries on top of the waffles and drizzle with the chocolate sauce, raspberry sauce, or both. Serve immediately. 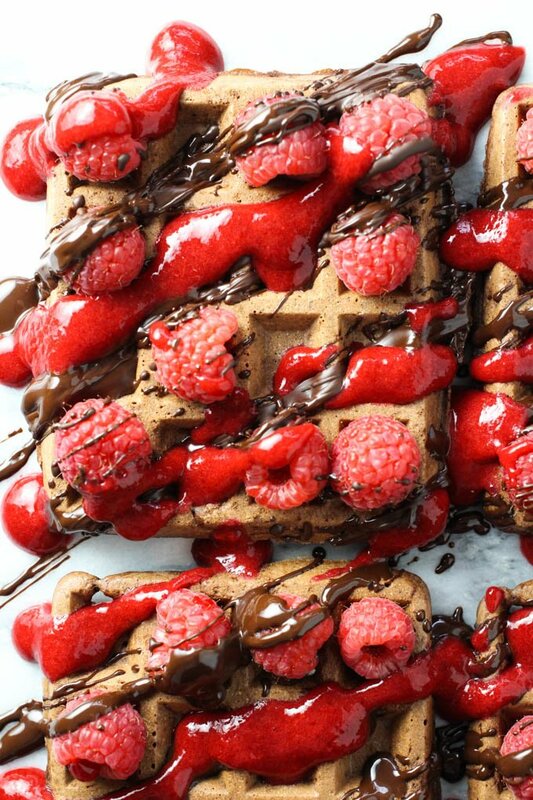 These healthy chocolate waffles are perfect for a special occasion breakfast or brunch. They keep well in the fridge for a couple of days and can also be frozen. 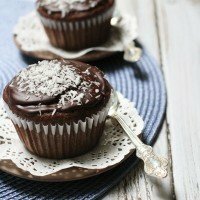 This recipe is very easy to make using simple ingredients. Sift the whole spelt flour together with baking powder into a large bowl. Add the cocoa powder and salt. Mix well to combine. Carefully melt the chocolate together with coconut oil. In a medium bowl, add the milk, chocolate and coconut oil mixture, maple syrup, eggs, and vanilla extract. Whisk to combine. Add the wet ingredients to the dry ingredients stirring just until combined. Bake the waffles following the instructions of your waffle maker. 1. The number of waffles you get from this recipe depends on your waffle maker. I used 1/4 cup of batter to make 1 waffle. 2. Nutrition information is a rough estimate for 1 out of 12 servings calculated for chocolate waffles made with almond milk. Maria- these just look so fantastic! I so wish I could make them at home, but my fiance is a die-hard classic waffle type of person. Maybe when he goes out of town next I can make them just for me!